As you probably know, UML is not bound to a programming language, thus it cannot provide dedicated types out of the box. It only provides few simple types : Unlimited Natural, Integer, Real, String. If you want to bind your code to a framework/language and use its types, you have to define aaaaall the types you want (classes/interfaces/datatypes). For one project, it can be acceptable (but quite long and unpleasant), but when you have to do this for all your projects, it goes from unpleasant to very annoying. That’s when CatsooLang comes in to help you do that programmatically. GenMyModel provides a low-level terminal based on a proprietary language called CatsooLang. FYI, Catsoo is a tiny virtual cat, insanely inspiring. The language and its terminal enable advanced users to handle model elements and diagram elements using syntax and commands. It’s much more powerful than click+drag’n’drop. If you want to test the feature without applying changes to your model, go into safe mode by typing: #sandbox-on and perform your tests. Exit the safe mode with #sandbox-off and type again the commands you want to execute for real. We provide a Java type library written in CatsooLang (source: here in github) so you get the Java types available right away. You can also easily check if the library had been well loaded by looking at your project tree view (in the Project panel, top left). You should be able to see a new package named **gmmlibs** and if you unfold this package, you will see packages/types created by the Catsoo script. 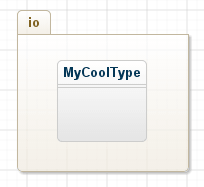 You can use these elements in your diagram by drag/dropping them or using them as attributs parameters. Is there any Java class/interface you need that is not in our library? You can add it using the terminal. 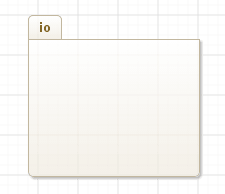 Documentation is available for these functions, enter doc(_uml_cLibType);. 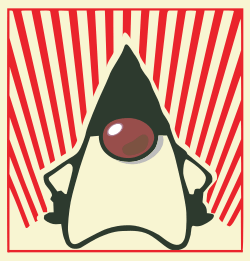 Our Java library includes the well-known Java types. Do you miss your favorite one? Let us know, we’ll add it!